Used in the presence of substances such as gases or in combination with physical factors such as a vacuum, the application of heating and cooling are key methods of modifying metals to improve properties such as strength, hardness, softness, resistance to corrosion and durability. Coregas has supplied the full range of gases for heat treatment to New Zealand manufacturers throughout its history of more than 20 years. So we know the importance of precision: heating or cooling to a precise temperature for a precise amount of time demands the right atmosphere. Our heat treatment gases are formulated to meet required tolerances for components and impurities. Both annealing and tempering are used to reduce stress in materials such as stainless steels, carbon steels and non-ferrous metals either to make them easier to work with during manufacturing or prior to hardening processes to produce materials with different properties. Normalising may use either process, alone or in combination, to soften, harden or stress relieve materials to prepare them for further processes such as machining or hardening. The materials are heated and cooled in a controlled atmosphere to avoid oxidation. Annealing refers to heating steel to a specific temperature, following by very slow, controlled cooling to maximise softness. Tempering refers to slow heating to reduce brittleness, followed by cooling in still air. Used to join a large range of metals, alloys and other materials together by heating a filler material so it melts between them and binds them together as it cools. The most common method is to use a welding torch to heat the filler, but brazing encompasses a wide variety of other heating methods, eg heating via a furnace for continuous production processes. However the filler is heated, protecting it with an inert gas prevents oxidation during the heating process and ensures a stronger bond. Many of our welding and shielding gases are suitable for brazing. Often called case hardening when applied to mild steels, carburising is a hardening process where steel is heated in a controlled atmosphere to the point where it absorbs carbon, followed by controlled cooling to produce a hardened surface. The controlled atmosphere is commonly a mixture of nitrogen with natural gas or cracked methanol. The carbon derives from the natural gas or cracked methanol and the nitrogen improves the absorption of carbon. Carbo-nitriding is similar to carburising, but modifying the mixture of the atmosphere and the heating and cooling conditions means the steel absorbs both carbon and nitrogen to produce different properties in the hardened surface. Similar in principle to carburising, nitriding involves nitrogen (rather than carbon) being absorbed into the metal surface. To achieve this, the controlled atmosphere requires a nitrogen-rich gas, usually ammonia. In contact with the heated metal surface, ammonia dissociates into nitrogen and hydrogen, allowing the nitrogen to be absorbed. Some materials require rapid cooling to attain their desired properties, which can be achieved using a range of substances such as oils, salt baths or gases. Gas quenching is popular because it is environmentally friendly and more easily controlled than the alternatives. It is also widely used as part of the process in furnaces, particularly vacuum furnaces. Nitrogen, hydrogen, argon and helium are all suitable gases for quenching. The choice of gas depends on the material and desired properties. Newly galvanized metals are commonly “hot-dipped” or “gas wiped” (a type of quenching) with nitrogen to improve the uniformity of the galvanised coating and minimise the formation of zinc oxide, which can give rise to an uneven surface. A multi-stage process used to produce harder and more durable finished products, sintering involves heating, compacting and sometimes pressurising materials such as metals, ceramics and plastics to form them into the required shape. Temperatures always remain below melting point. Each stage requires a different atmosphere. 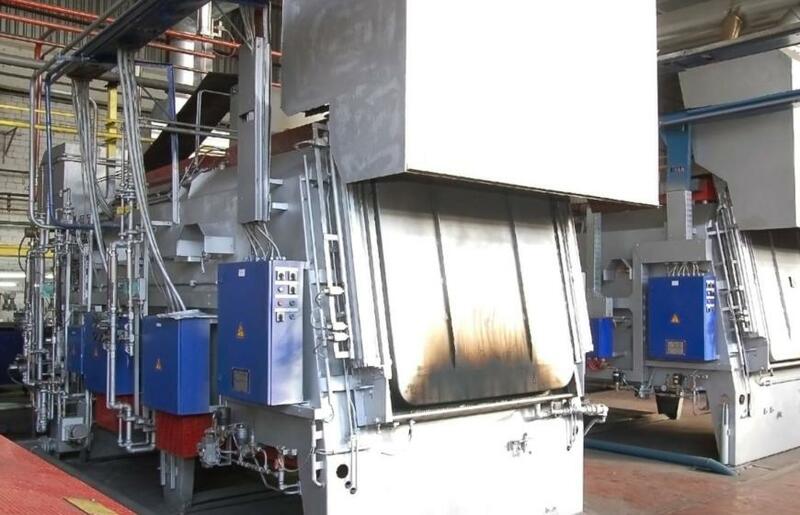 Prior to sintering, an oxidising atmosphere removes lubricants, then a “reducing” atmosphere such as nitrogen or hydrogen during heating prevents oxidation, decarburises and improves the result. Cooling also requires a low-oxygen atmosphere such as nitrogen to prevent oxidation and, for metals, prevent the surface appearing dull. Cooling of materials below zero can improve properties such as corrosion resistance. Coregas has a range of cryogenic gases which can be supplied and stored at sub-zero temperatures to facilitate cooling treatments. For more information about our cryogenic range or bulk supply, email or call our team who will be pleased to assist.